Following the volume of six fragmentary Sophoclean tragedies published in this series in 2006, Alan Sommerstein and Thomas Talboy now present seven more. Three of these dramatise successive phases of the story of how a jealous and treacherous Odysseus brought about the judicial murder of the culture-hero Palamedes and of the terrible revenge taken by Palamedes' father Nauplius. The volume also includes dramas about the first day's fighting of the Trojan War ( The Shepherds ), about the foundation of the mystery-cult of Eleusis and the birth of agriculture ( Triptolemus , one of Sophocles' earliest plays), about a young woman who contrived the death of her father in order to save her beloved ( Oenomaus ) and about a young man who killed his mother in obedience to the last injunctions of his father ( The Epigoni or Eriphyle ). 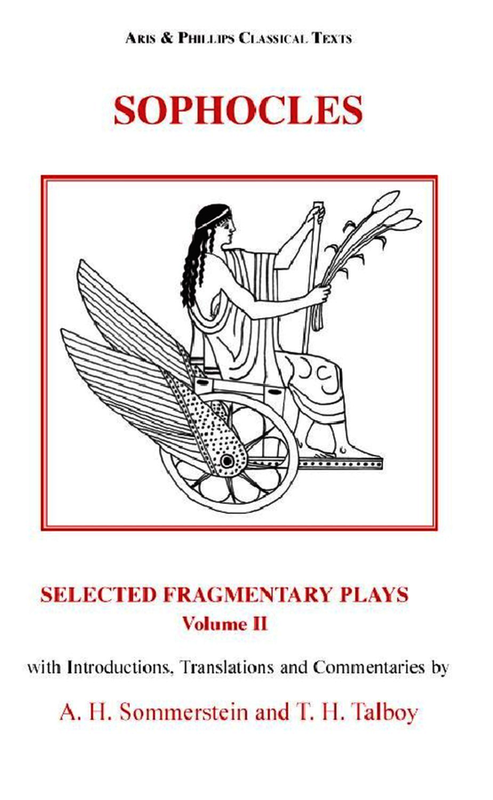 The volume includes the text and translation of all the surviving fragments (and of a selection of other texts that give us information about these plays), with full commentary and an introduction to each play discussing, among other things, the development of the myth and the likely content of the play so far as it can be reconstructed. The plays included are The Epigoni , Oenomaus , Palamedes , The Arrival of Nauplius , Nauplius and the Beacon , The Shepherds and Triptolemus . Greek text with facing-page translation. Sommerstein and Talboy should be thanked for this useful, instructive and stimulating piece of scholarship.